The Department of Surgery (General Surgery, Urology and Plastic Surgery) all had very successful Residency Match Day with a good proportion of MCG students deciding to stay at the Medical College of Georgia. Dr. Richard Lee, an innovative physician scientist and educator who co-directed the Center for Comprehensive Cardiovascular Care at St. Louis University School of Medicine, is the new chief of the Division of Cardiothoracic Surgery in the Department of Surgery at the Medical College of Georgia at Augusta University. Lee joined the faculty of St. Louis University School of Medicine in 2003 and moved to Northwestern University Feinberg School of Medicine in 2007, where he was surgical director of the Center for Heart Rhythm Disorders and program director for the thoracic surgery residency. Lee returned to St. Louis in 2012 as co-director of the Center for Comprehensive Cardiovascular Care and vice chair of the St. Louis Department of Surgery. He was named service chief of the Cardiovascular Service in 2015 and interim co-director of St. Louis’ Heart and Lung Institute in 2017. While in St. Louis, Lee helped develop a series of hybrid heart procedures that utilize the skills of cardiologists and cardiac surgeons to enable less-invasive approaches like the Hybrid Maze, in which an electrophysiologist and cardiac surgeon restore a healthy heart rhythm in patients with atrial fibrillation without opening the chest wall. His clinical and research expertise, in addition to arrhythmias and minimally invasive cardiac surgery, include heart valve disease and coronary artery disease. Most recently, he has focused his clinical efforts on transcatheter aortic valve replacement, which does not require open-heart surgery, and minimally invasive repair of leaky mitral valves. Dr. Lee is on the editorial board of the Journal of Thoracic and Cardiovascular Surgery.He has authored or coauthored several textbooks as well as his 2006 book, Get Directions: A Career as a Physician, which provides advice to individuals interested in medicine starting with high school and taking them through fellowship training. Dr. Lee has also published over 130 peer-reviewed articles. An avid educator, Lee received the 2017 Inspiration Award from the Southern Thoracic Surgical Association for his mentorship. He directed St. Louis’ Cardiothoracic Surgery Summer Medical Student Program for six years. While on the faculty of Northwestern, he directed an honors program in medical education shadowing and a summer research fellowship for first-year medical students. He also directed the general surgery resident rotation. He co-chairs the American Association for Thoracic Surgery’s Cardiothoracic Residents Committee. He recently completed a seven-year term on the Workforce on Health Policy, Reform and Advocacy for the Society of Thoracic Surgeons. He currently serves on that society’s Workforce on International Meetings and chairs its Workforce on the STS Annual Meeting. He also is a board member of the society’s Political Action Committee, the only such committee representing cardiothoracic surgery. Lee has served on four national guidelines committees, including Guidelines on the Management of Patients with Bradycardia, this year. Lee is a graduate of the University of Illinois College of Medicine in Chicago. He earned an MBA at Washington University in St. Louis while completing a National Institutes of Health sponsored research fellowship in cardiothoracic surgery at the university. Lee completed his surgery residency at Rush University, also in Chicago, cardiothoracic surgery residency at Washington University in St. Louis, followed by an adult cardiac surgery and heart transplantation fellowship at the Cleveland Clinic Foundation. Dr. Aaron Bolduc was named the Director of the Adrenal Center. Dr. Renee Hilton was named Chief of Minimally Invasive Surgery and Co-Director of the DHC. Dr. Daniel Albo was name Chair of Surgery. Dr. Muhammad Saeed has been appointment the interim Section Chief Transplant Surgery. Dr. Elizabeth Fox and Dr. Erin Switzer has joined the Trauma and Acute Care section. Dr. Zachary Klaassen has joined the section of Urology. 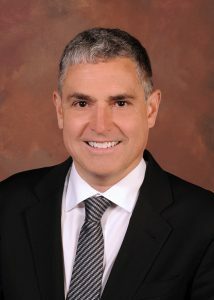 Dr. Bradley Morganstern has joined the section of Pediatric Urolgoy. Dr. Walter Pipkin was named Surgeon and Chief and the Childrens Hospital of Georgia. Dr. Maria Lima and Dr. Mouchammed Agko have joined the section of Plastic Surgery. Dr. Mrinal Shukla has joined the section of Vascular Surgery.